Breakfast. It doesn’t have to be complicated. With a little twist to your ‘standard’ breakfast, you can make your mornings a lot tastier. Just choose something new and fresh – like passion fruit. Somehow I don’t buy this tiny tasty fruit bomb very often. But I added a passion fruit to my quick fix breakfast and I loved it! 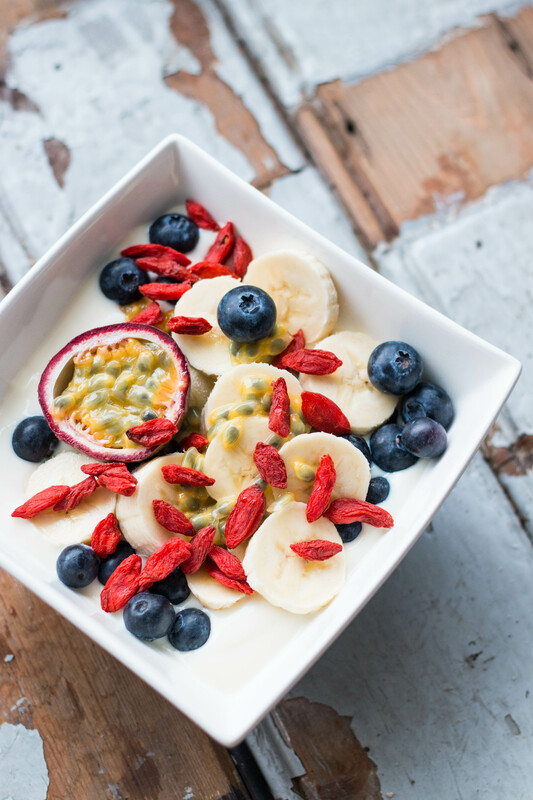 Put everything together in a bowl, cut the passion fruit in half and add to your bowl. Done! Easy. 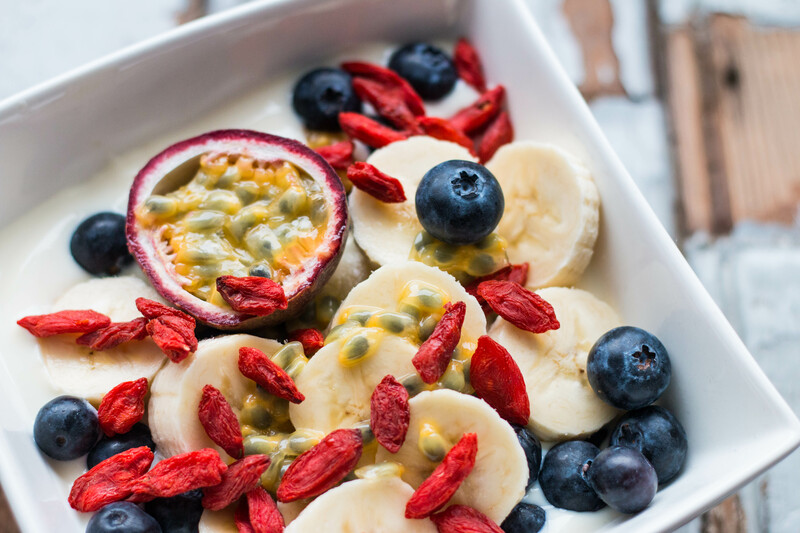 Oh, if you add maca powder to your breakfast make sure to mix this well with your yogurt first, before you add your fruits. Need more breakfast inspiration? Follow me on Instagram or Pinterest. This is the type of breakfast that I eat often! Yum!